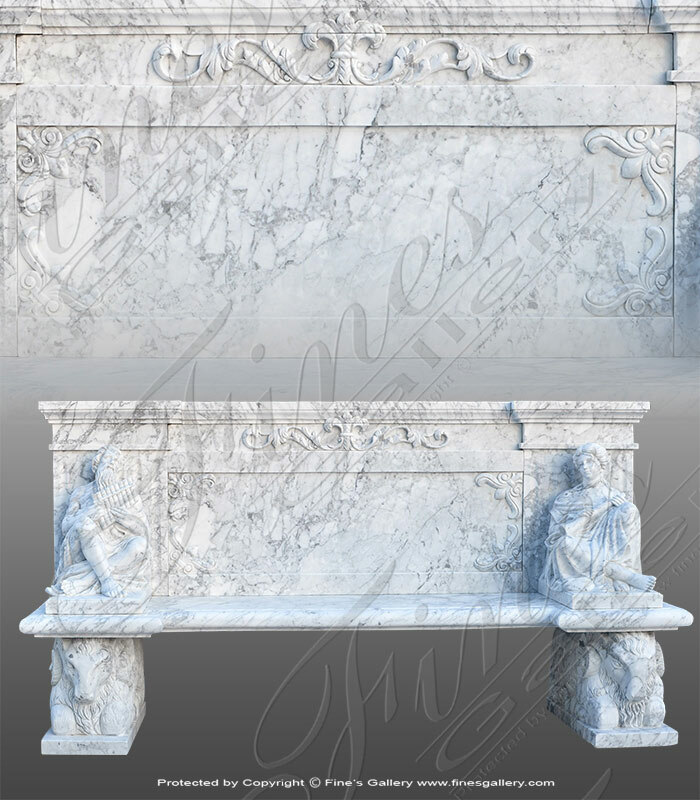 The description for this beautiful Marble Bench is not available at this time. If you require additional information for this product please call 1-866-860-1710 and talk with a sales representative at anytime. A bench this spectacular had to have the word 'Royal' in its title. 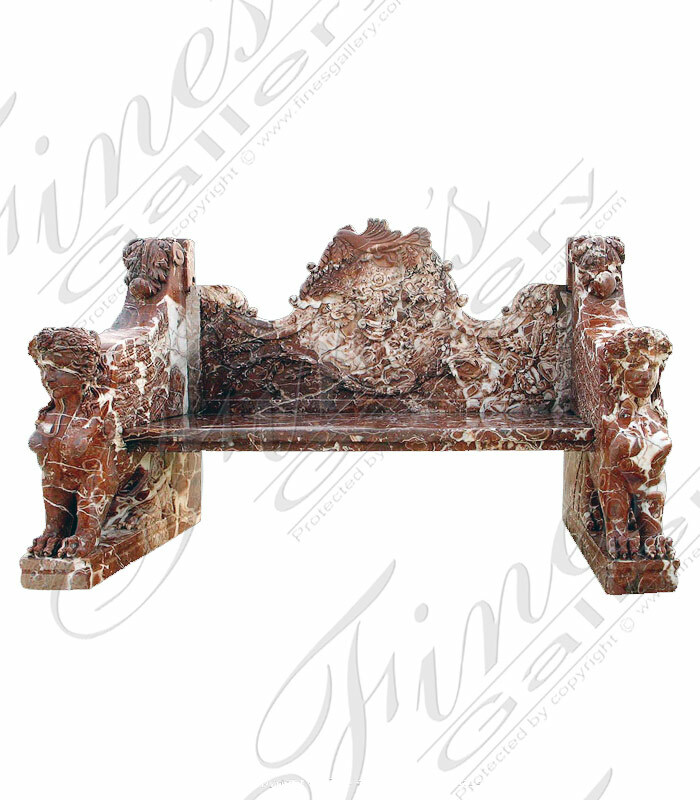 The breathtaking design of this product features an elaborate hand carved sphinx for each armrest and a lavish red tone of marble. Contact us today for a complete quote. 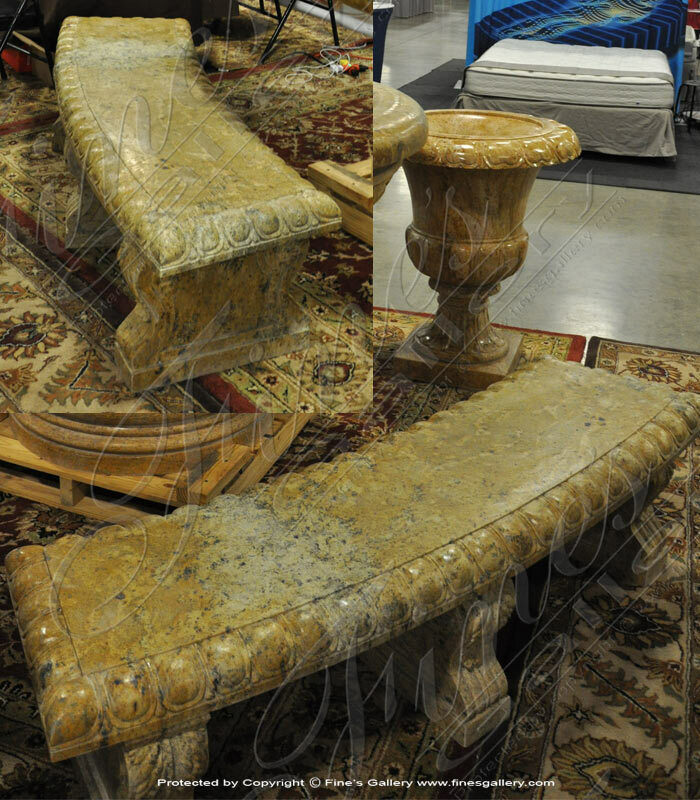 Elegant and charming, this beautiful marble bench features ornately scrolled backrest, armrests, and legs. 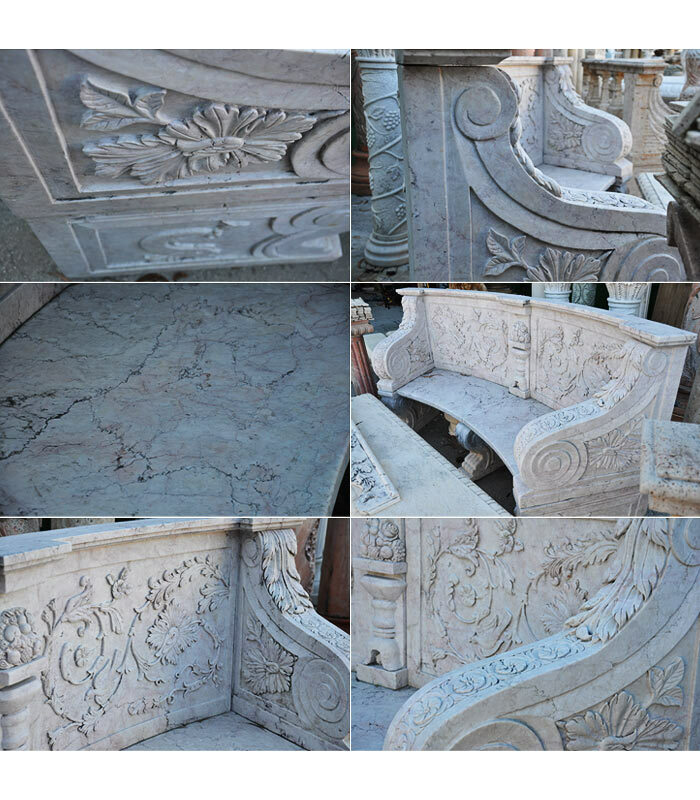 The backrest is also decorated with a lovely relief sculpture of two flower wreaths. Decorate your estate with the timeless elegance of fine marble. 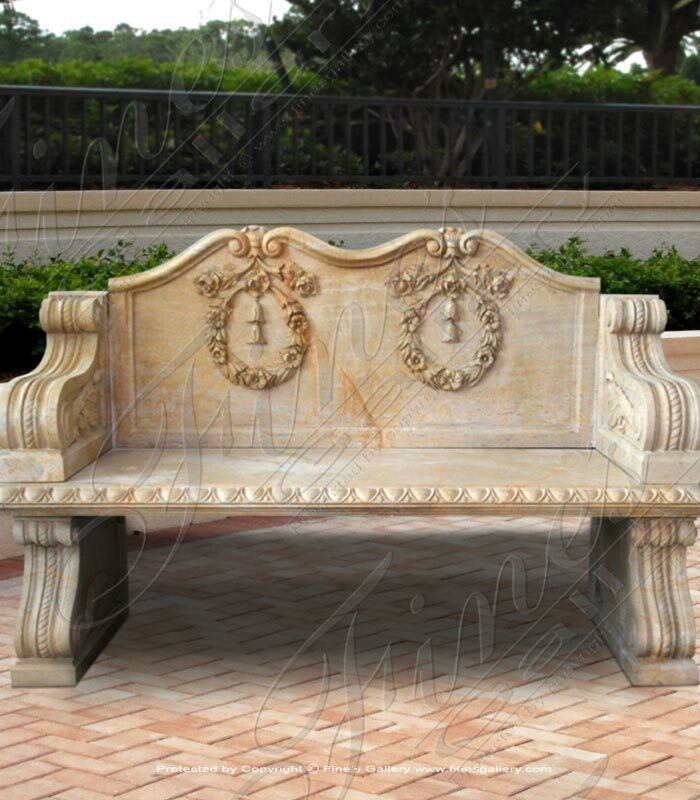 Beige Marble Bench carved from natural solid marble blocks. 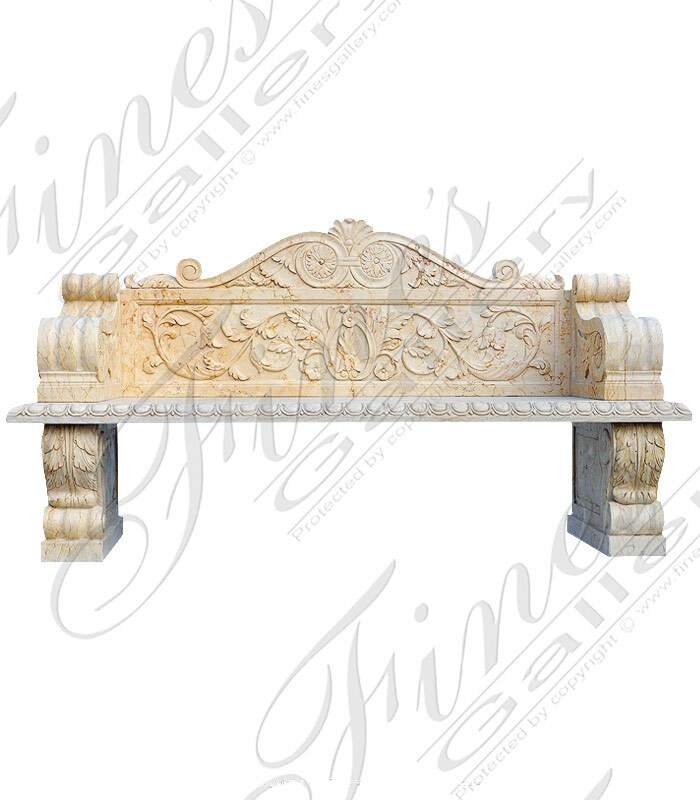 From the Romanesque Period comes this spectacular semi circle bench of unparalleled intricate relief carvings and baluster back rests. This grandeur size is made to accompany many spectators and visitors in a large set courtyard. 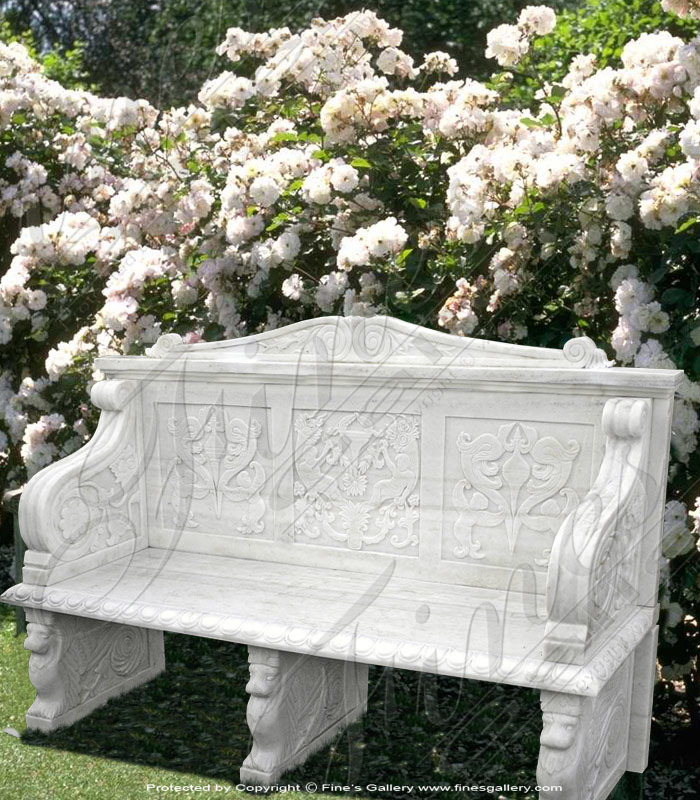 This adoring Renaissance Classic white Carrara marble bench is picturesque with its three partitioned cherub wood scenery and rolling pearl art design. 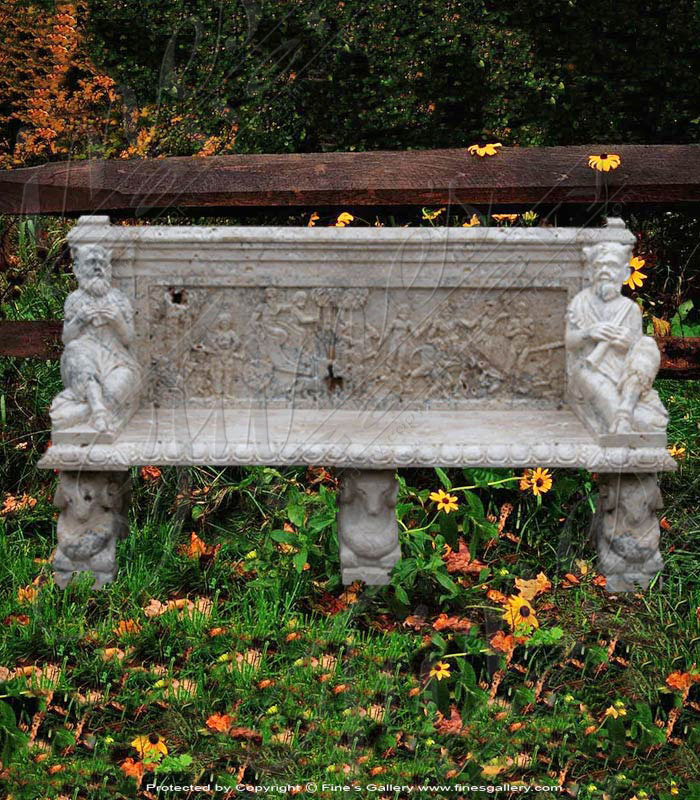 Supported by three mythical faun creatures, thispristine whitemarble adds luxury to any garden. 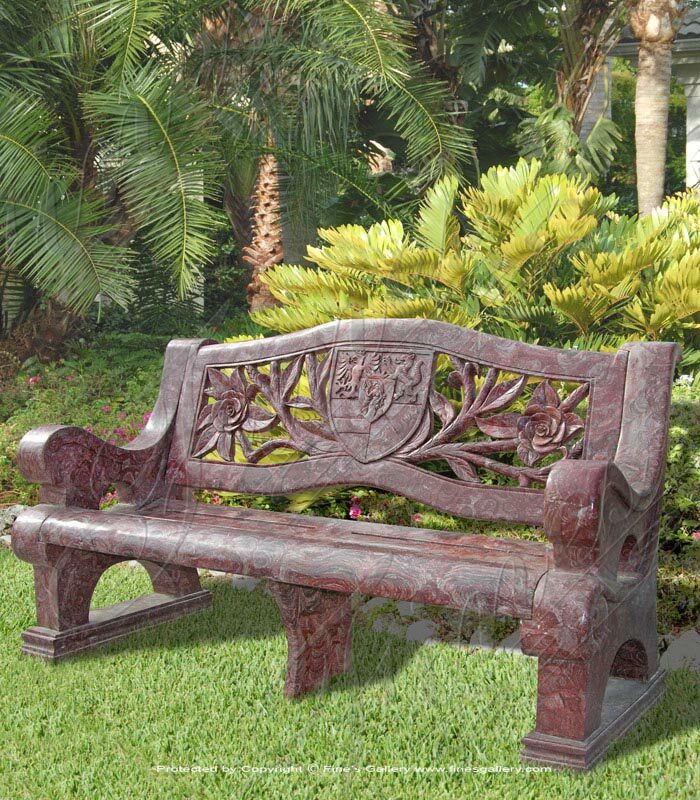 Thissimplisticpinkcolored marble bench is from the Baroque period. Its blossom vine decor adds a touch of peace and serenity to any courtyard. 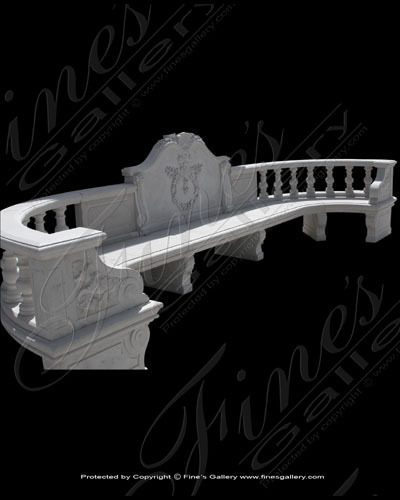 The backless style bench provides leisureresting on either side. 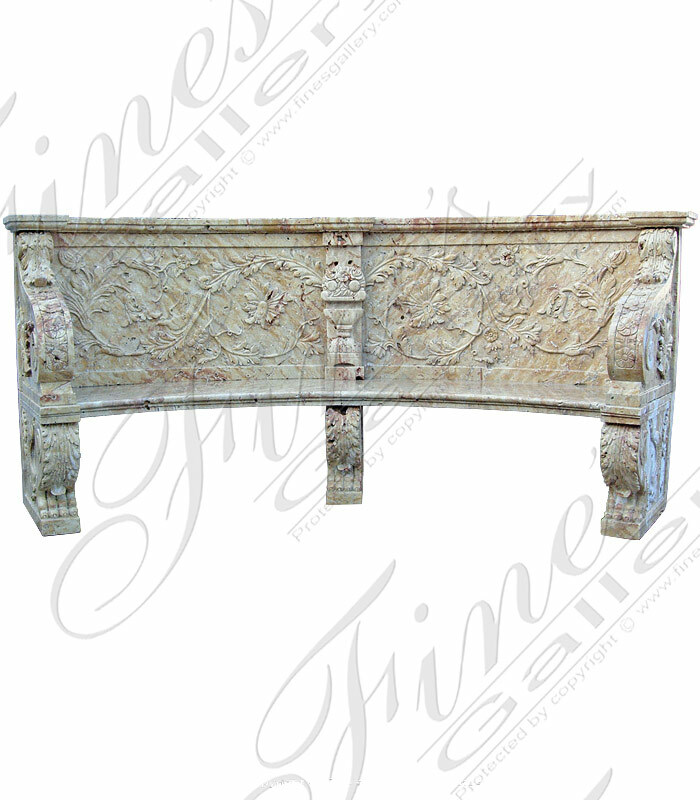 This 16th Century French style bench isdesigned with Kingsly crown and leaflet decor. From a period of Palatial Estates filled with romantic gardens, this piece will fill you with romantic moods and opulent luxury. 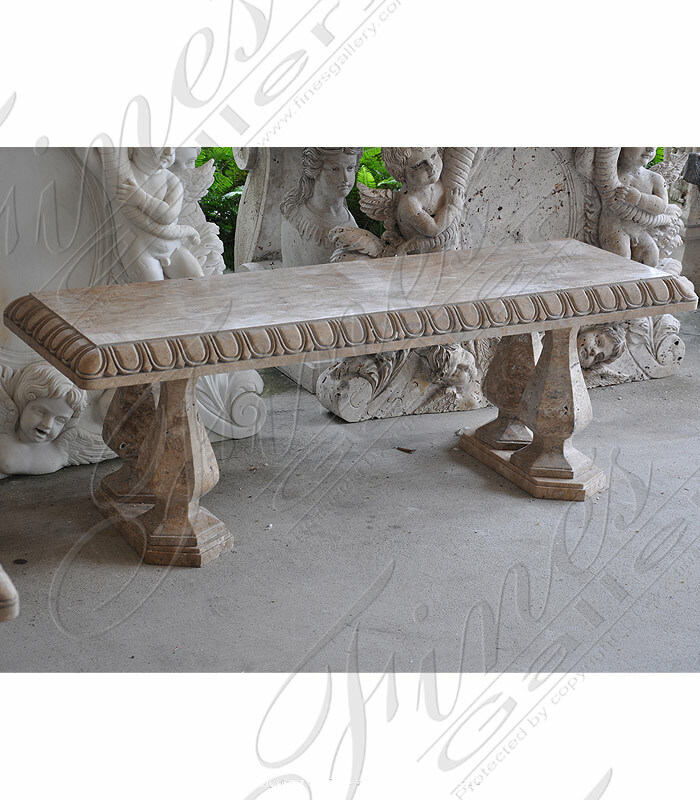 This magnificently detailed marble bench is hand carved from a beautiful antique calcium marble. 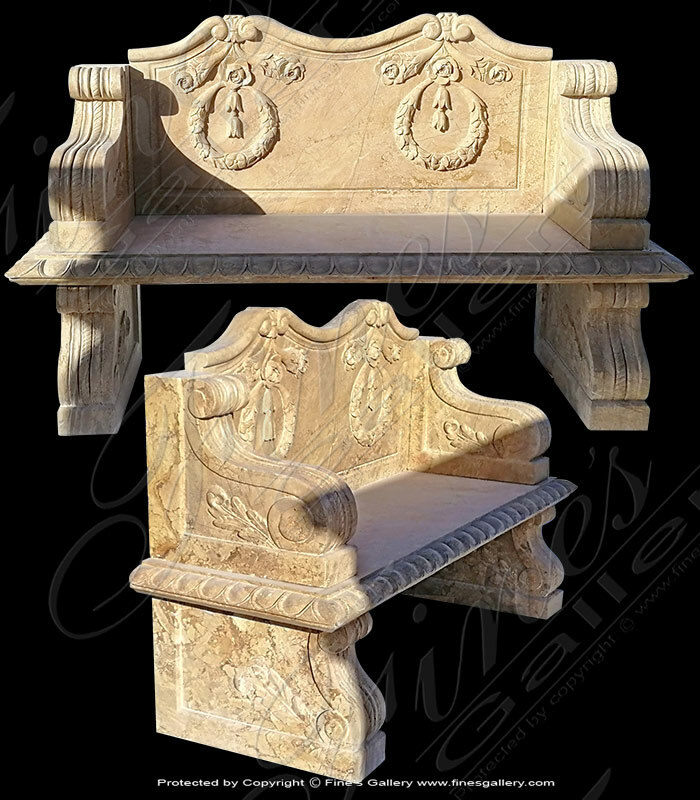 Three decorative rams support the bench seatwhile faun figurinesmake up the arm rests. A lovely springtime festival relief is carved in the center. This 18th Century Exemplary replica slightly differs from the original as this piece sport no arms but a high back in just the same gorgeous horned leaflets and crowning decor. 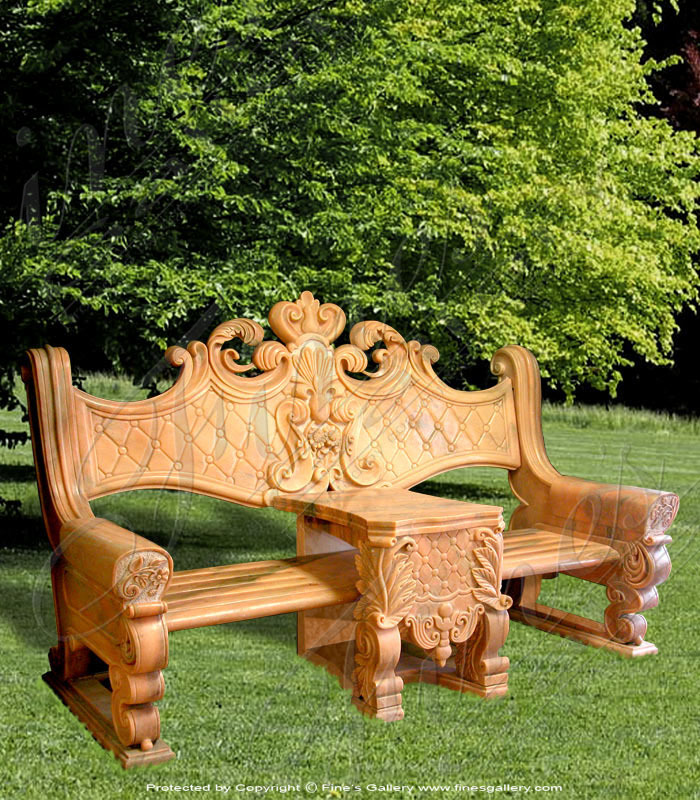 This rare design fills void in any luscious garden yard.